I've been working a ton the past few days so today we have done a lot of nothing today and it feels awesome! I love Sundays. Andrew still does stuff (homework) but writing this is about the extent of my activities for the day. I did make breakfast though! And it was delicious! you're probably going to get sick of Kipling photos but we still can't get enough of his wrinkly little face. 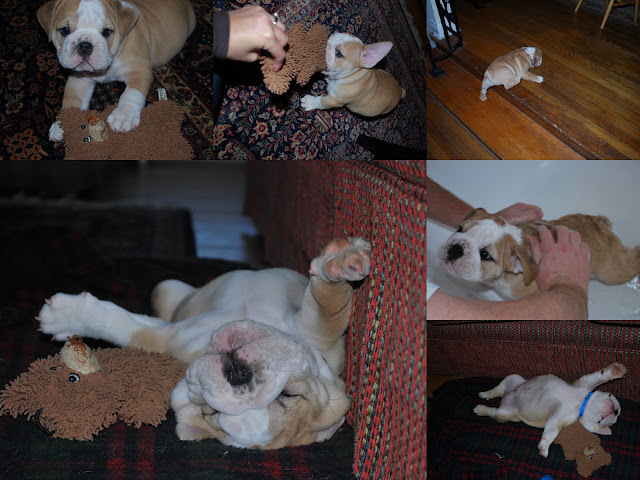 We took him on his first walk this week (he walks like a bear, it's great), the sleeping photos are the aftermath. He loves his little bear and does everything with it. He is currently laying next to me ripping off what is left of his nose. He just learned how to climb the stairs and we gave him his first bath because he smelled like pee. He is really good about going on the wee wee pads but hasn't quite figured out how not to step in it after, that part is not so cute. We are hosting Andrew's group from school in a punkin carving party on Friday. We also have another Halloween party to go to that night. It's almost Halloween people!!! Get excited!!! 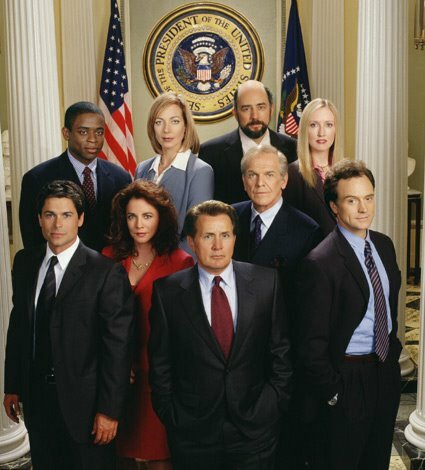 The West Wing is mine and Ben's all-time favorite TV show. We own the complete series. We're starting to get into Psych via Netflix Watch Now, though. OH i love him so much!! !